When you work in a factory, organization becomes critical to be successful in business. This is because you have to be able to locate your product in order to make a profit. Here are some of the reasons that organization is key to everything when it comes to your factory inventory. The faster that you can get product out of the door, the better customer service that you can provide. No one likes to wait around for their product to start the shipment process. You’ll also be able to tell at a glance whether you have the product that your customer is looking to purchase. This will increase your responsiveness to your customers. Better customer service means that your customers are happy and more willing to do business with you in the future. There are several ways that you can improve your ability to locate your products. One solution is to use a barcoding system that will enable you to scan items into your system. This will help you to determine the amount of inventory present as well as giving a more detailed location for each of your products. Another solution is to have Certified Handling pallet racks installed in your factory. This will help you to store your items in a more organized fashion, and it will help you retrieve them with more convenience. Being organized often means that you’re less likely to misplace your inventory. What this means for you is that you won’t have to reorder items only to locate an overabundance of stock somewhere else later on down the line. This could save you a significant amount of money when it comes to keeping your stock in hand. You’ll only need to order the items that are necessary for running your business and that enable you to turn over a profit. 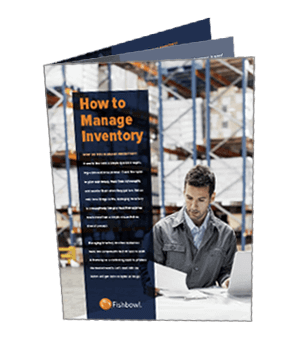 One option for your inventory management to consider is the layout of your factory storage area. Grouping items in the same location that are of the same or similar product type can cut down on lost inventory and time spent locating stock. Another option is to use a computer inventory management program. Many of these programs will assign bin and rack locations to all of your inventory. This would also aid you in reducing the amount of time that’s required to perform the picking function. The biggest takeaway is that maintaining organization in your factory helps improve your efficiency. Another benefit is that it can increase your profit margin.